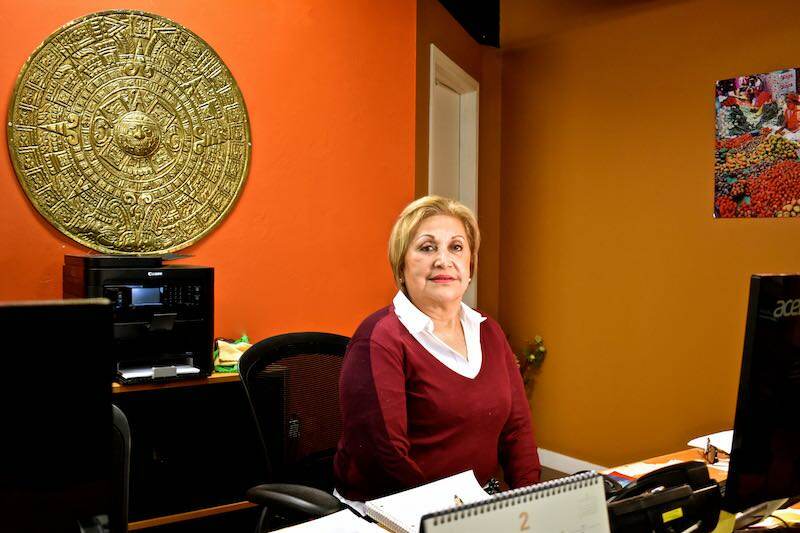 Gastowner: Myrna Bubica from Mexi-Can Holidays Celebrates 30 Years in the Neighbourhood. What do you and how did you get here? 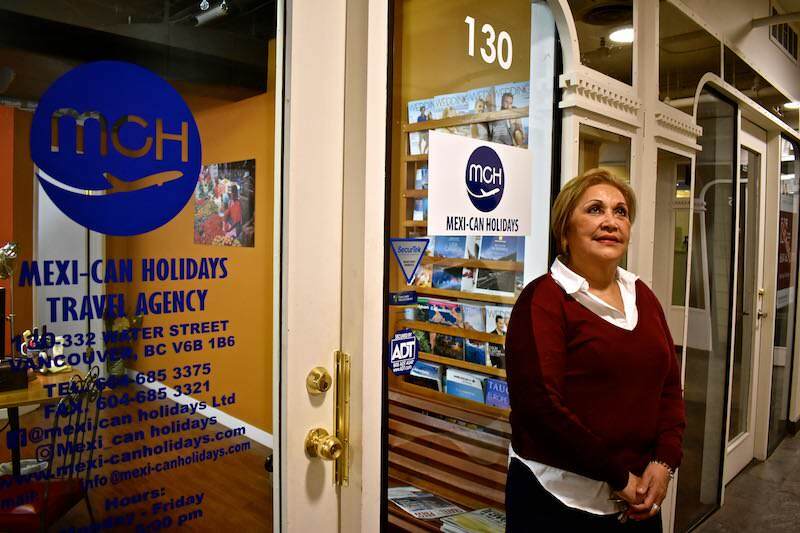 I’m a travel agent specializing in creating tours to Mexico and Latin America, and I have owned and operated Mexi – Can Holidays here in Gastown for 30 years. 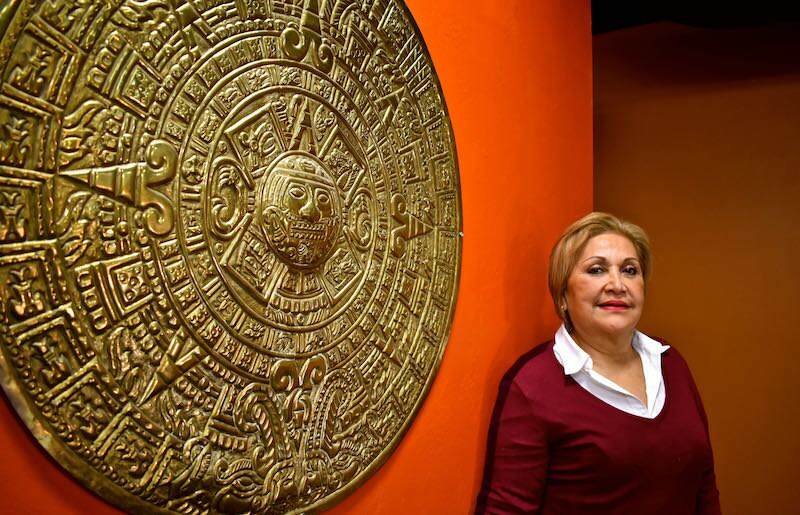 I grew up in Mexico City, where both my parents worked in the travel industry. I travelled with them many times, and learned how the business worked. When I was a teen, I went to school in Germany to study history. In the late 70’s, newly married and with a passion to see the west of Canada, I moved to Vancouver. I fell in love with BC, and in particular Gastown. The neighbourhood had this effect over me. There was something about the age of the place – the Steamclock, the buildings, the history – it reminded me of Mexico City and parts of Europe. I found a perfect little suite in the lower level of the Le Magasin building, and Mexi – Can Holidays has successfully operated there ever since. Back in the late 80’s, Gastown was a totally different place. There were only a few businesses, it was rough and tumble, and everything completely shut down at 5pm. It was a ghost town on the weekends and nobody really came here. Today, it’s the city’s hotspot for food, shopping, creative business, and culture. What do you love about working in Gastown? I love that Gastown is in such an excellent location, easily accessible from anywhere in the city and in the lower mainland. Can you recall a particular happy moment or memory here in the neighbourhood? I really enjoy the summertime in Gastown. One of my favourite events is the Gastown Grand Prix, and I look forward to it every year. If you had 15 minutes only in Gastown – how would you spend it? 15 minutes would not be enough time for me. There are now so many wonderful new shops, restaurants, and things to see that I could spend all day here. Maybe a quick window shop but 15 minutes is just too short a time to enjoy Gastown. Can you recommend a location in Mexico that is a must visit place for a holiday? Mexico City has a lot to offer. There is so much to see and do, you’d need at least two days, but you could easily spend a week and immerse yourself in everything that’s truly magical about Mexican culture, food, art, music, and history. You’re celebrating 30 years in business. What’s the secret to your success? Customer service is the absolute most important ingredient to a successful business. My clients are my priority, and they always come first. Regardless of the size of the trip, everything must be perfect, and all clients are treated equally. I travel home to Mexico at least twice a year to visit the new resorts and attractions. This helps me stay current with what’s trending and what’s available to my clients. We have created some exciting trips for this this year including The Land of the Maya’s, starting in Chichen Itza and ending in Cancun, a tour to Peru to see Machu Picchu, and in November, we have a tour going to El Día de los Muertos – The Day of The Dead festival outside Mexico City. 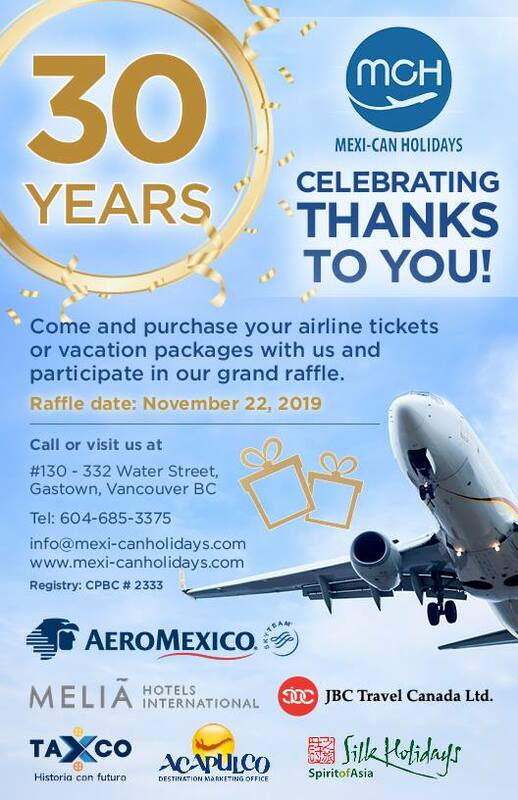 To celebrate our 30 years in business, we are having a raffle in the end of November with a grand prize of a big holiday package. To be entered into the draw, simply book your airline tickets or vacation packages with us before mid November 2019.